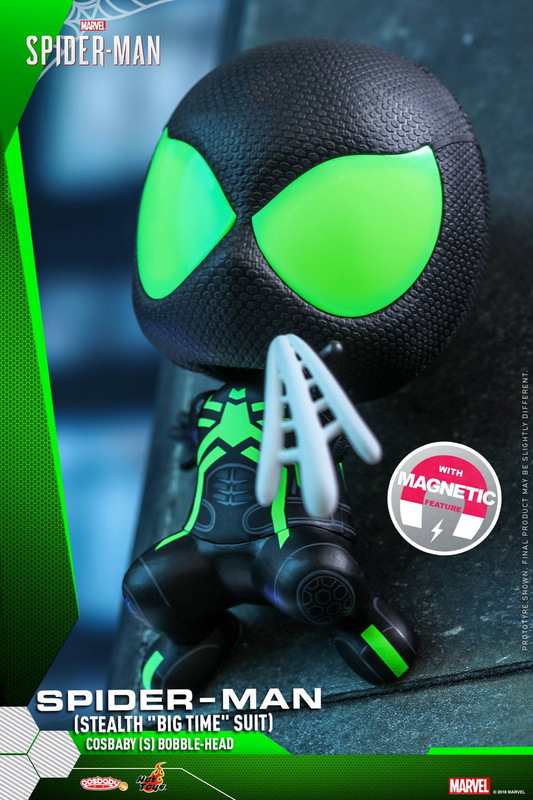 HotToys 新品：COSB538 Spider-Man/蜘蛛侠 - “大时代”潜行服 Cosbaby公仔兵人在线 - Powered by Discuz! When new villains are on the loose to threaten the safety of New York city, Peter Parker and Spider-Man’s worlds collide. To save the city and those he loves, he must rise up and be greater. 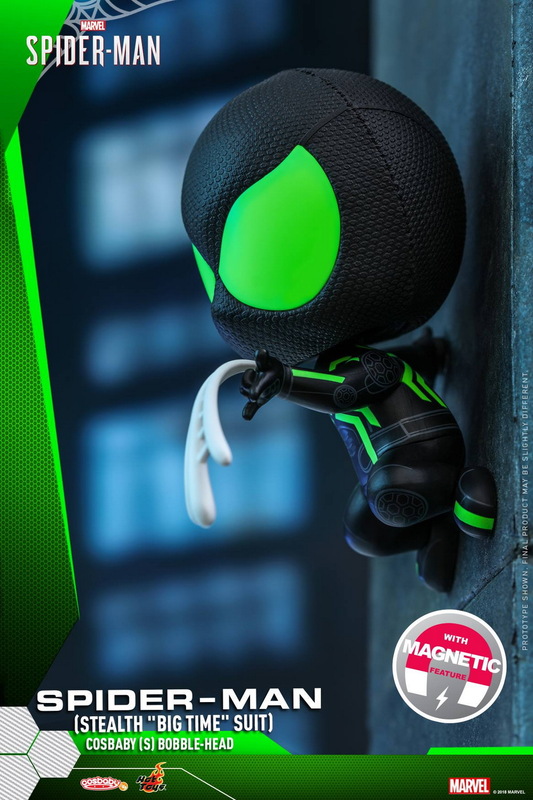 To celebrate the grand release of Marvel’s Spider-Man, Hot Toys is excited to bring fans the brand new Spider-Man Cosbabies inspired by one of the highly anticipated video games of the year, Marvel’s Spider-Man. 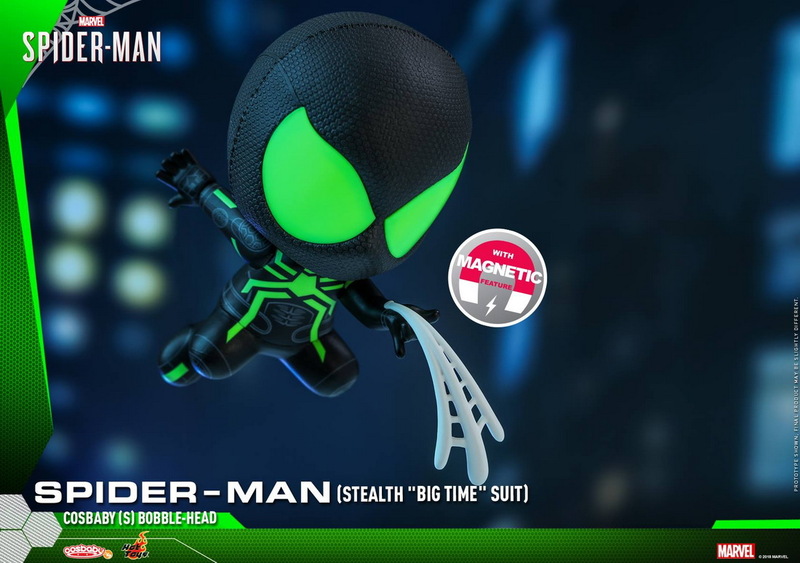 Inspired by one of the unique suits with special abilities, the newly introduced Spider-Man (Stealth "Big Time" Suit) Cosbaby (S) Bobble-Head presents the wall-crawler in his black Stealth (“Big Time”) Suit with a bright neon green spider symbol in chest! 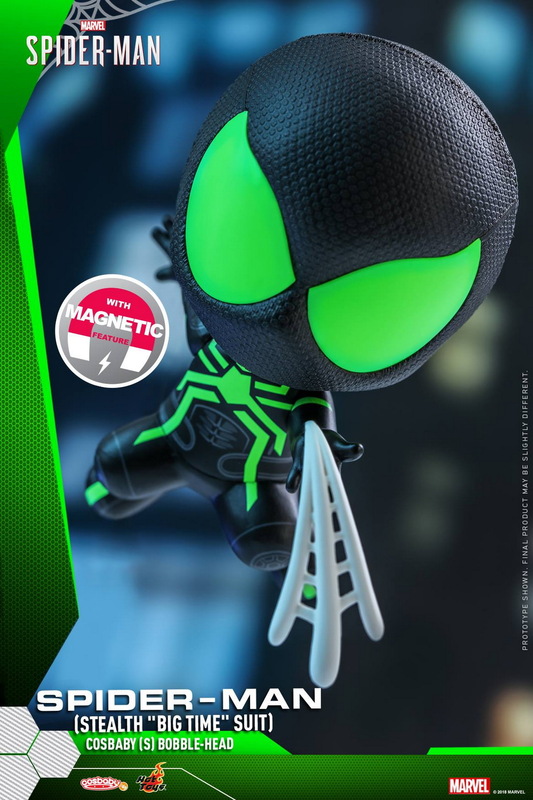 This Spider-Man Cosbaby measured about 9 cm tall features magnetic function and unique bobble-head function is only available in selected markets! Now it’s the time to team up with your favorite friendly neighborhood hero for the future of the city! GMT+8, 2019-4-21 11:20 , Processed in 0.393308 second(s), 33 queries .